Serve your tastiest hors d'oeuvres or entrees on the CAC China REC-14 Rolled Edge Platter. 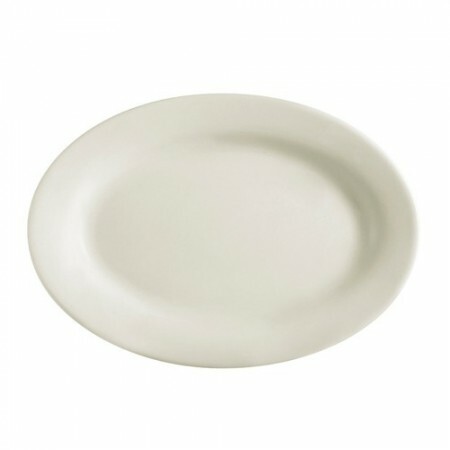 This 12 1/2" platter is made from American white china and is oven, microwave and dishwasher safe. It is guaranteed to be scratch, chip and break resistant and is sure to be a splendid choice of china dinnerware to have in your food establishment.